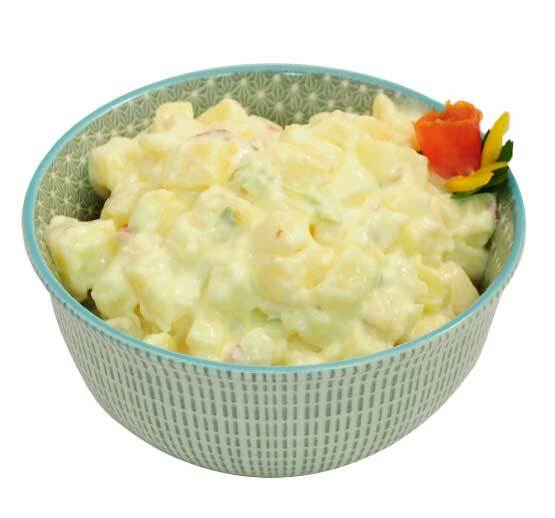 Dawn's Potato Salads will keep you out of the kitchen with products that you would be proud to call your own. 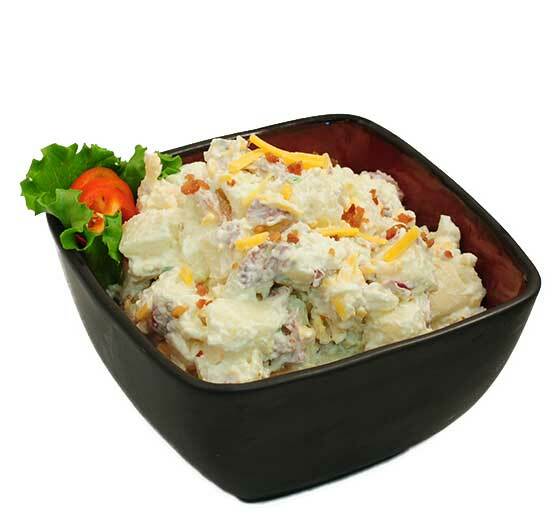 Dawn's Foods exclusively uses only RED potatoes in all of these salads. 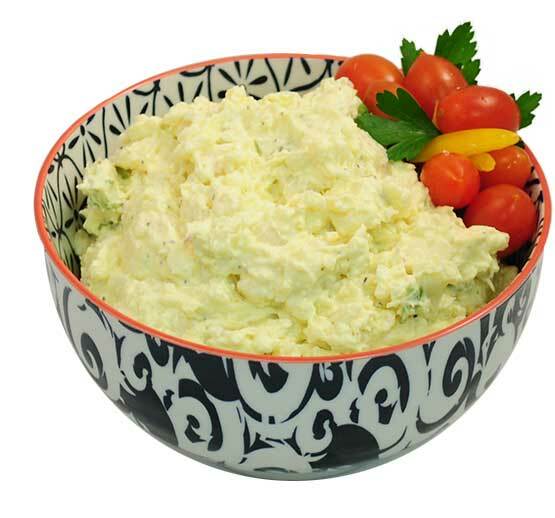 We add FRESH vegetables, whole eggs, and high quality salad dressings and WISCONSIN dairy products to produce our famous Potato Salads. 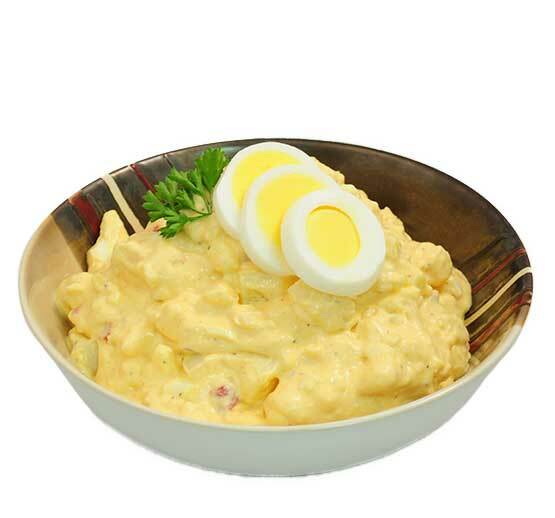 Tender Potatoes with Yellow Salad Mustard, Sweet Pickle Relish, Hard Cooked Eggs and Fresh Vegetables in a Rich Mayonnaise Dressing. 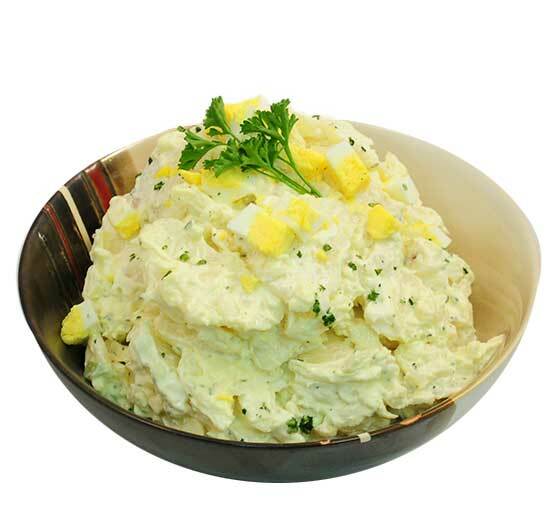 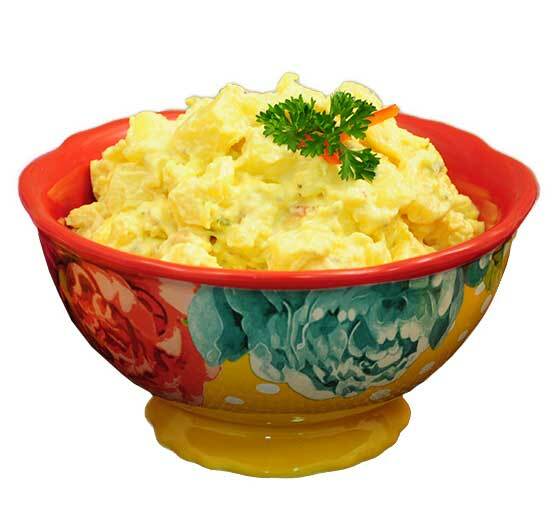 Farm Fresh Potatoes and Eggs Blended with Real Mayonnaise, Onion, Celery and Chopped Parsley. 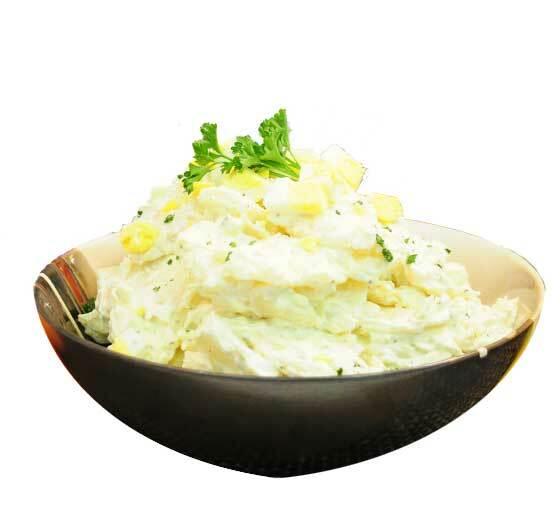 Hearty Red Potatoes Blended with a Rich Mayonnaise Dressing and Fresh Garden Herbs. 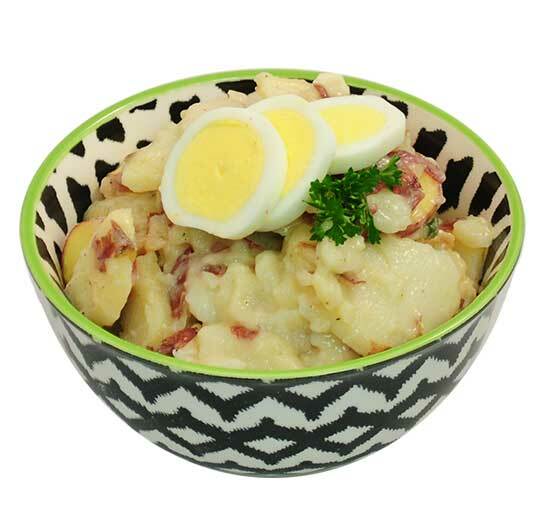 Sweet Cooked German Style Dressing with Fresh Sliced Potatoes, Real Bacon, Hard Cooked Eggs and Green Onions. 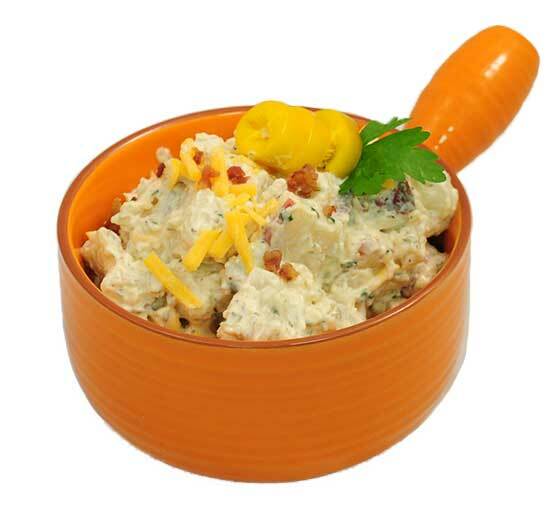 Rich Sour Cream and Mayonnaise Blended with Real Wisconsin Cheddar Cheese, Applewood Smoked Bacon, Tender Diced Potatoes and Green Onions. 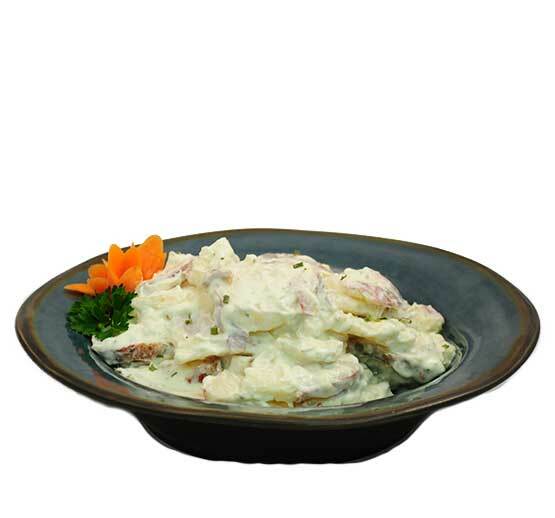 Rich Sour Cream and Steak Seasoned Dressing Blended with Wisconsin Cheddar Cheese, Smoked Bacon and Green Onions. 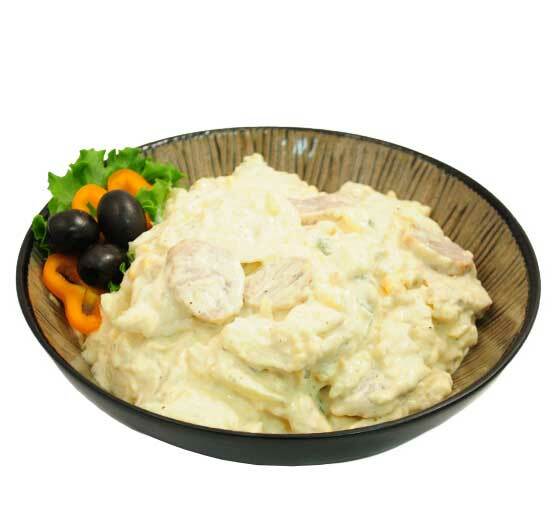 Fresh Cooked Bratwurst with Tender Potatoes, Sauerkraut and Real Wisconsin Cheddar. 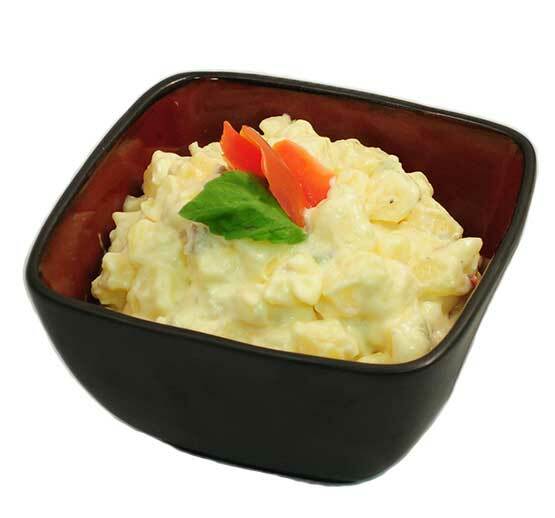 Sweet Salad Dressing Blended with Red Potatoes, Fresh Onion, Celery and Red Bell Peppers.